The innovative app “Tap to go” from AH to go already gave a glimpse of the future. Customers want to be able to shop fast, and cash slowly starts to disappear from the streets. At AH to go you can now buy your food without having to pass by a cash register. Even a wallet is not necessary. Simply scan the digital shelf cards with your mobile phone and walk out of the store to continue with your busy day. You do not have to worry about payment, after 10 minutes of inactivity from Tap to go the amount spent is automatically debited from the linked bank account. This creates a role model for the future of mobile and customer expectation and the adoption rate of mobile payments will, therefore, increase significantly in 2019. Are you ready to offer this service to your customers? 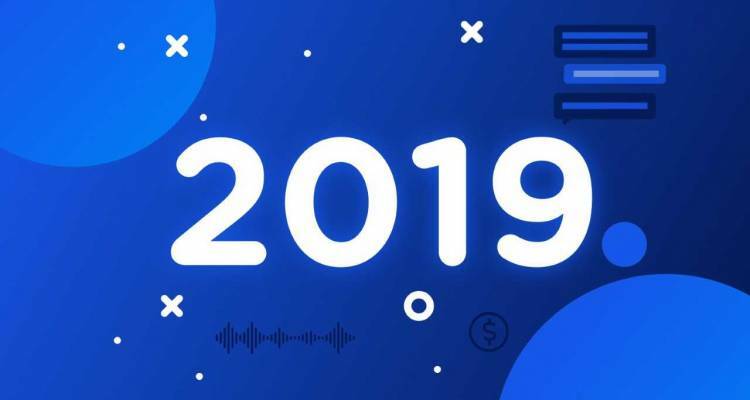 In 2019 you will no longer get away with a sales process in which consumers have to switch from one platform to another. For us, Conversational Commerce means that you can start and complete an entire transaction with a customer in one messaging channel. This means, for example, that you as a webshop can recommend and sell products in a single chat conversation. Conversational Commerce enables users to arrange tasks through a natural dialogue, so this is about offering convenience and personalization. This way you can convince your customers that you offer the best service or the best product. Think about integrations with the Customer Data Platform and the integration of important payment methods. The Customer Data Platform has already been briefly mentioned above. A Customer Data Platform (CDP) brings all your marketing data together to create a full (360 degree) customer profile. With access to rich profiles, a CDP can orchestrate and automate communication with your customers or leads. The finer grained your understanding of a person is, the better you can target him with information that is relevant within the context in which they currently find themselves and connect them to topics of interest. Data in a CDP include: Personal information, contact information, transactional or eCommerce data, web and behavioral data, satisfaction scores and contextual information. To reach your audience, you have to filter a lot for relevance. A Customer Data Platform is your tool to achieve this goal. CPaaS, or Communication Platform as a Service, enables companies to manage all communication channels from one well-organized and user-friendly platform. Companies can use a CPaaS for real-time communication with customers and successful companies integrate these communication channels into their business processes. Our CpaaS offers an all-round multichannel platform to streamline your processes and connects you to various messaging apps, voice, e-mail and even post. In addition to a CPaaS, CM.com also offers the possibility to combine with an extensive payment platform and digital identity services. This ensures a complete customer journey improvement in your digital transformation process. Your business processes can be enriched from one single platform that offers communication, payments and identity. Next to the mobile phone, wearables will play an increasingly important role in the life of the customer. Think about the smartwatch for example, where you receive not only your sports results, but also your mobile messages, and with which you can even handle your payments with a simple wrist movement. Move your watch past the payment terminal and that’s it. This means an even faster experience for the customer requiring minimal handling. The wearables market is expected to increase by 64% in 2019. For this reason, more and more companies are experimenting with possible applications of wearables to strengthen their brand. Have you already thought about possible applications of wearables for your brand?